Home >> Generated from JAN's SOAR Information System on 4/21/2019 12:18:03 AM. The Sunrise Medical Breezy EC 4000 Lightweight Reclining wheelchair features height adjustable full length padded armrests or removable desk length padded armrests, which facilitate easy transfers to a chair or bed, and your choice of swing-away footrests or elevating legrests, which swing far out of the way for entering and exiting the chair. It comes standard with aluminum handrims and low profile tires. 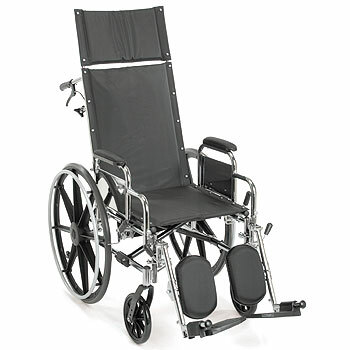 The reclining back reclines from 90º to 160º, and the chair includes rear anti-tip wheels for safety.